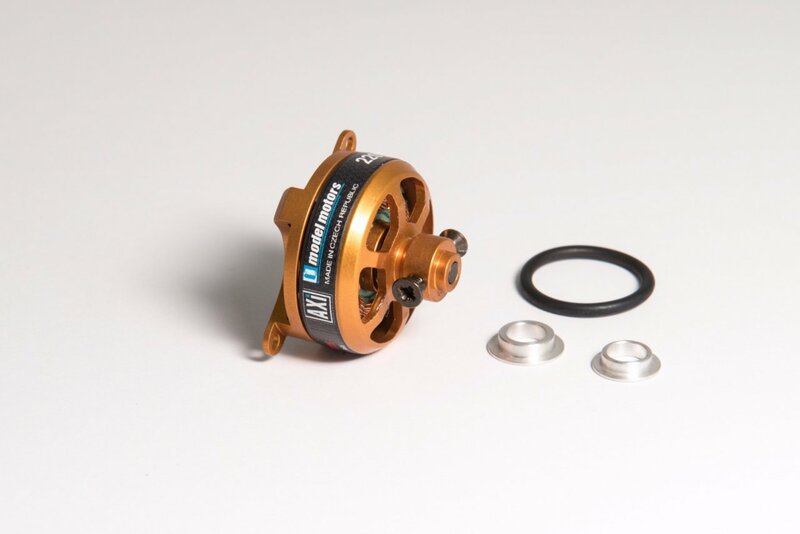 Very light motor AXI 2203/46 GOLD LINE V2 with shaft, integrated prop saver and three-point mounting lugs reach just 20g in weight. 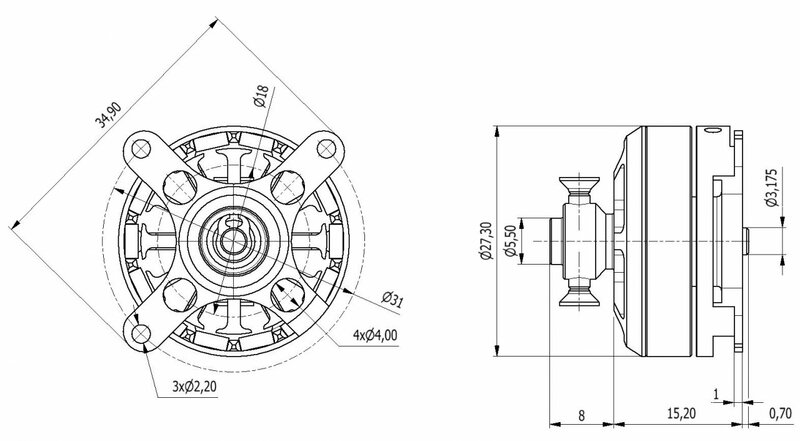 This motor was designed especially for area of the lightest indoor aerobatic models. 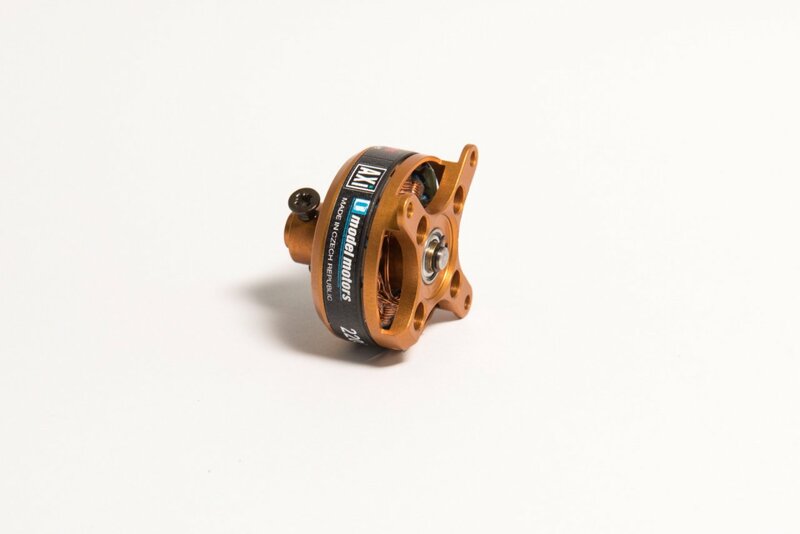 New three-point mounting lugs allows easy mounting to the fuselage of model and fast centering of motor. 3.17mm best quality carbon shaft is supported by two ball bearings. 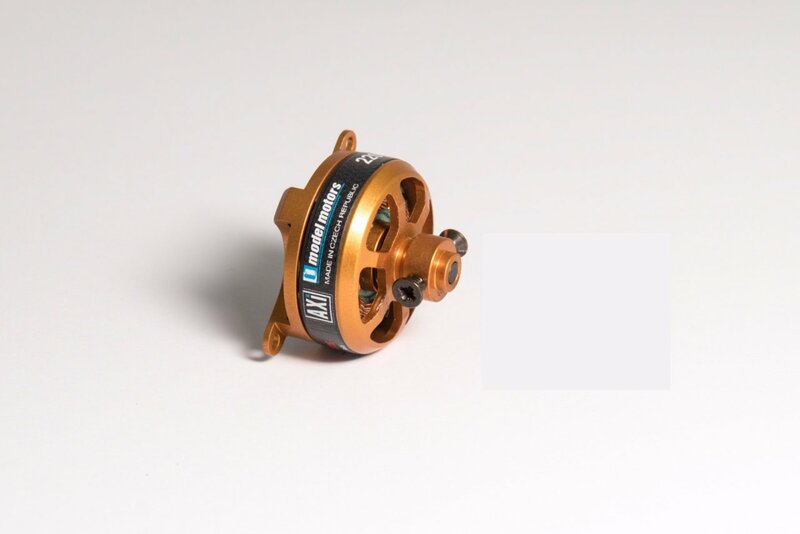 This motor is suitable particularly for light 3D and aerobatic indoor models up to 220g in weight. 220 7,8 2s 8,5A/20s 8A 8"x4,3"
160 5,6 2s 8,5A/20s 8A 8"x4,3"